Every Friday,A.V. Clubstaffers kick off our weekly open thread for the discussion of gaming plans and recent gaming glories, but of course, the real action is down in the comments, where we invite you to answer our eternal question:What Are You Playing This Weekend? This week, Respawn Entertainment (the studio founded by the creators ofCall Of Duty) pulled off an excellent Beyoncé-drop by announcing, and then immediately releasing, a new battle royale multiplayer game calledApex Legends. The game is set in the same universe as Respawn’s criminally underratedTitanfallgames, although it lacks the big robots that the series gets its name from—or the elegant parkour mechanics that make that series so kinetic and engaging. And yet… I still thinkApex Legendsis super fun. The battle royale genre is crowded these days, with even long-running shooter mainstays likeCall Of DutyandBattlefieldembracing the idea of a multiplayer mode where you drop into a big map with nothing, scrounge for supplies, and then fight off 50 to 100 enemy players until you’re the last one standing. The big twist inApex Legends, though, is that it’s also a hero shooter in the vein ofOverwatch,where you pick from a group of characters who all have some kind of special ability. There’s a hunter guy who can see where enemies have been, there’s a soldier who can launch smoke grenades and runs faster when she’s under fire, there’s a ninja who does theNarutorun and can turn invisible, and—in the most overt nod to the mechanics ofTitanfall 2—a robot who can fire a grappling hook and set up zip lines for his team to ride. The map is also laid out with a much bigger emphasis on enclosed spaces, which is a nice change from, say, the big fields and arbitrarily placed sheds ofCall Of Duty’s Blackout mode. Plus, thanks to the intuitive “ping” system, you can communicate with teammateswithout having to talk to strangers. It’s not totally different from every other battle royale game, but the twists it introduces are fun and clever. Oddly, the biggest problem withApex Legendsmight be that it’stooappealing, in the sense that Respawn might not get a chance to make a properTitanfall 3if this game turns out to be a massive hit. Let me tell you a story: A few years ago, a little studio called Epic Games released a wave-based shooter where you gather supplies and weapons so you can buildfortsto fight off monsters that come atnight. That game,Fortnite, was aggressively mediocre and didn’t make much of a splash. It was fine, sure, but it was destined to fill the $15 bin at your local Walmart—until Epic noticed that a new genre called “battle royale” was taking the world by storm, partially thanks to a hot new game running on a version of Epic’s own Unreal Engine, calledPlayerUnknown’s Battlegrounds.Fortnitesoon released its own creatively named “Battle Royale” mode, which was free to play and supported by a brilliant monetization system where players could theoretically buy in one time and earn enough in-game currency to continue getting access to “premium content” without ever paying again. Battle Royale inFortnitebecame an absurdly massive success, to the extent that the original mode (dubbed “Save The World”) has been jettisoned completely from some versions ofFortnite,andstillcosts extra on the systems it originally launched on—with no crossover whatsoever between what you do in Battle Royale and Save The World. Essentially, Battle Royale has completely taken over whatFortniteis, turning what was once the entirety of the game into an afterthought. Seeing as howFortnitemade Epic a ton of money while doing all that, it’s not hard to assume thatApex Legendspublisher (and noted fan of money) Electronic Arts would hope to do something similar. Being a hugeTitanfallfan, the question now is how much I should supportApex Legends—a game I have a lot of fun with—before I’m just contributing to theFortnite-ing ofTitanfall. After all, it must be easier to continue refining a game like this than it is to balance a multiplayer shooter around the ability to run on walls and call in giant mechs you can ride in, let alone writing and developing a proper follow-up toTitanfall 2’s excellent single-player campaign. IfApexis a huge flop, why would EA want to spend the money making anotherTitanfall? Conversely, if it’s somehow the biggest game in the world, why would EA want to spend the money making anotherTitanfall? 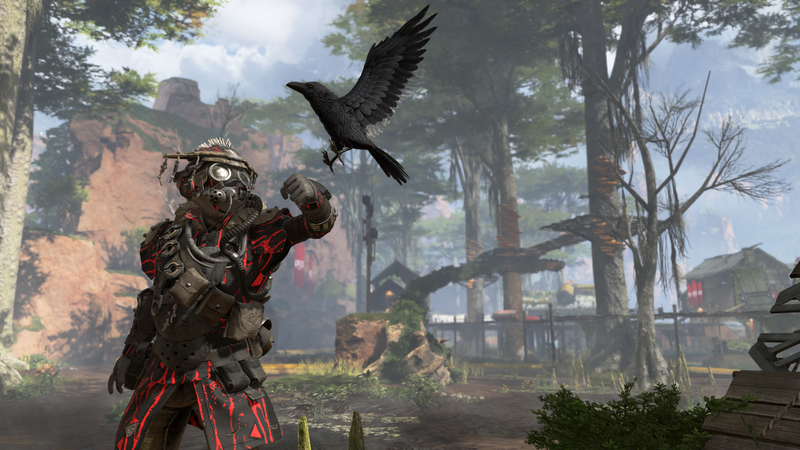 Respawn CEO Vince Zampellaclaimed on Twitterthat the studio is working on “moreTitanfall,” but that doesn’t mean anything without proof. I’m not sure what the best solution here is, so I’m just going to keep doing what I always do: Playing whatever hot new shooter comes out, while also complaining about how it’s not as good asTitanfall 2.